Controversial adaptation of Bret Easton Ellis's pithy commentary on '80s materialism and greed, reworked as a black comedy. 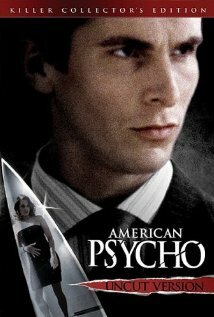 At its centre is handsome yuppie Patrick Bateman, a social climber who judges success by the clothes people wear. But beneath his smartly tailored surface, Patrick harbours dark, disturbing thoughts about his business rivals, murderous fantasies which gradually stray from his unconscious into the real world. American Psycho is not currently showing anywhere.